One of the easiest ways to refresh a drab room is to create an accent wall. The simplest accent walls use a bold shade of paint to add color variation and a focal point to a room. Accent walls can be so much more than paint, however. 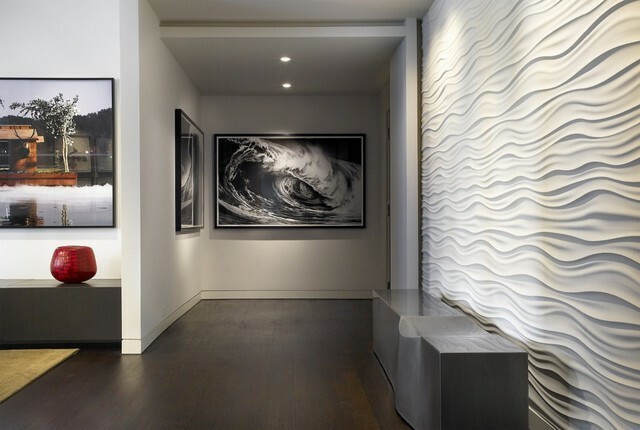 From textures such as stone to large works of art, accent walls offer an eye-catching design element to any room in the house and alleviate your interior space from monotony. Paint and wallpaper are two of the most popular ways to create an accent wall; if you’d like something simple and traditional for your accent wall, then you can’t go wrong with these two options. However, when you want something a bit avant-garde, think about the materials you’re using. 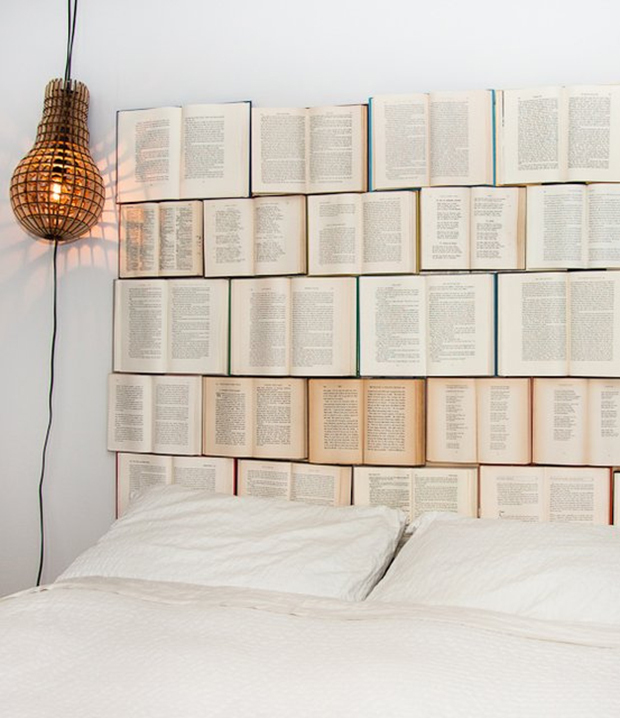 Instead of applying wallpaper, create your own wallpaper out of the pages of books. If you’d like a painted accent wall, think about applying a chalkboard paint to the wall surface. You could write yourself reminders and use magnets to change your photo displays each day. One of the hottest interior design trends is accent walls crafted from wood or stone. Textured accent walls add a visually and physically stunning focal point to your room that doesn’t detract from your color palette or your furniture. Textured accent walls can look rustic or upscale. Layer boards of wood over the wall in a staggered pattern to avoid creating seams. Pick a wood species with much color variation, such as hickory, and stain the wood any color you like. Stone looks lovely around your fireplace or along one wall of your bathroom. Create a chic, upscale look by making stripes with wood or stone atop a freshly painted wall. Choose an accent color, then break up that color by crafting wide stripes out of wood or stone tiles. For a more eccentric look, you can cut discs out of thick branches to create circles that display the rings of the tree and have a lovely bark frame. Apply these textured accents to the walls with nails or glue for a look nobody else in your neighborhood will have on their walls. Whether you’re feeling overwhelmed with great options or stuck on how to move forward, an interior design app may be the answer to inspire you and unlock your best ideas. 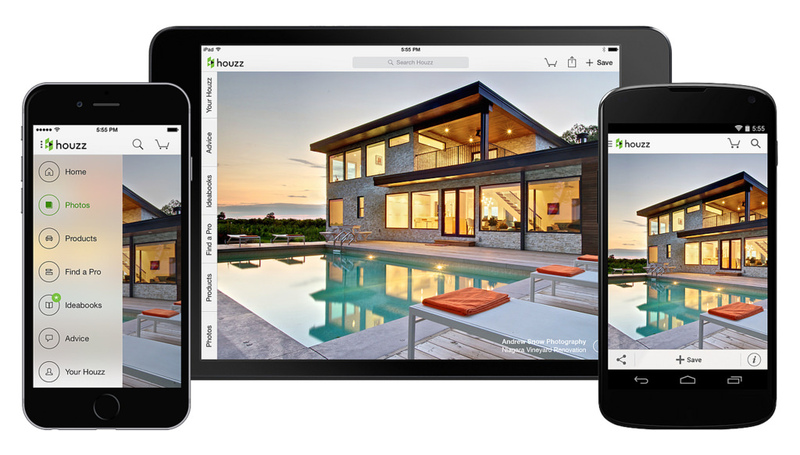 Houzz offers a great app with the latest home design trends free for iOS and Android devices. The app also has a feature that allows you to preview what furniture and other items would look like in your house. You can track your home decorating activities with a turn of the wrist holding a smartwatch, such as a Samsung Gear S2. Activity trackers available on smartwatches can make useful organizational tools for DIYers. If you need help with colors, Sherwin-Williams offers the app ColorSnap free on iOS and Android devices. This app will analyze any color palette —whether that palette comes from a textile, photo, or other object — and find paints within their catalog that match the colors in your color scheme. This useful app can guide you if you’re trying to paint an accent wall to match a piece of furniture or create a certain color pattern within your room. 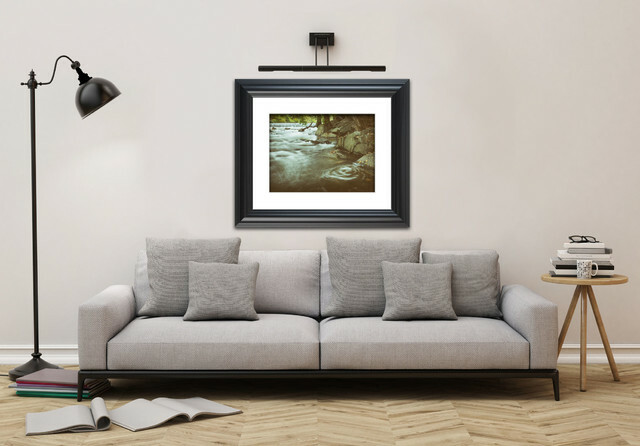 Landscape photography and modern art look lovely in frames as accent pieces in the rooms of your house. Imagine what they would look like enlarged to fill an entire wall. For a room with good lighting and a narrow accent wall, a large piece of art that takes up the space, or an enlarged photograph of your favorite landscape, can be an option. Enlarging photography isn’t the cheapest alternative to wall art, but you can cheat with scenic wallpaper. If you’re artistic, consider painting the wall yourself for a custom look. Your accent wall project awaits, and you have the power to create whatever design you want. Choose something that speaks to your personal style, so when your friends step into your newly accented room, they’ll think it’s distinctly you.